BAUBLEBAR : No coupon code needed. Tap to shop the sale now. BAUBLEBAR : Get 60% Off Select Styles. No Code Needed. BAUBLEBAR : Get 15% off your order. BAUBLEBAR : Tap offer to copy the coupon code. Remember to paste code when you check out. Online only. BAUBLEBAR : Get Corsica Tassel Earrings for $38. BAUBLEBAR : Up Up & Away! Get up to 70% off your order during Sale. 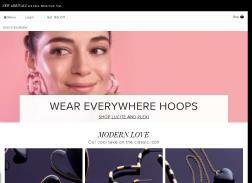 BAUBLEBAR : Get 15% off full-priced items on your first order. Must be logged in to use code. Additional restrictions may apply. BAUBLEBAR : Get Up to 75% off Sale Styles.